Traveling around Australia is a dream for a lot of Australians, and many are making that dream come true after retirement as part of the growing Grey Nomad movement. No longer busy with full time work, paying off a mortgage, or raising children, many retired Aussies are hitting the road and seeing what this great big beautiful country has to offer. It really is living the dream for many. But before you set out, you have to plan ahead. Here are our tips for making the most of this exciting, and well deserved, time in your life. At this exciting and liberating time, it can be tempting to throw caution to the wind and just take off, but a little bit of planning will help make your new lifestyle easy and hassle free. Organising direct debits in advance to pay any bills that you might still have will take the stress out of having to remember when this or that is due. These can easily be set up online, or over the phone. Internet banking is a life saver for the wandering traveller – you can check your balance online, make sure the direct debits are coming out as planned, and move money around if the need arises and you don’t have access to your usual bank. Another often overlooked task is collecting, or redirecting, post. If you have a trusted friend or relative, you can contact Australia Post to have your mail redirected to their address then, with a little planning, they can forward your post to a local post office to your stop offs. It can take a little advance notice and timing, but it can be a great way to ensure you never miss important letters. Australia Post also offers a mail holding service, if you plan on making shorter journeys and returning home in the mean time. If you’re selling up and plan to live on the road full time, you’ll need to sort out your belongings – such as furnishings etc. This may be through selling them online or through a consignment dealer or, if you want to hang on to them, long term storage solutions may be the right choice for you. Insurance is vital for anyone looking to hit the road. 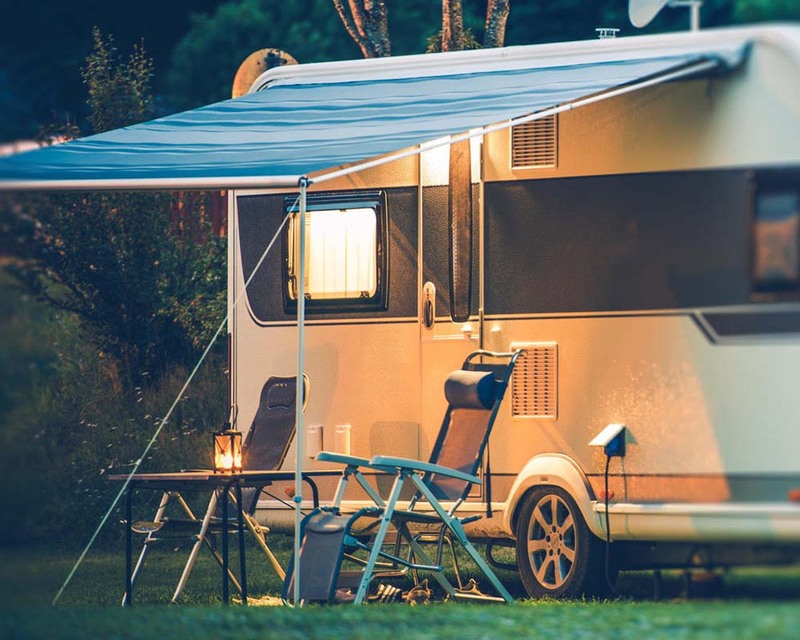 Now that your caravan or camper van is your home, it’s important to be fully insured in the event of a worst case scenario. In the event of a total loss, such as due to fire or flood, insurance will be a lifesaver. In case of breakdown or theft, insurance will ensure you have enough funds to replace, tow, and/or store your van or vehicle. Make sure to shop around, and choose an insurance plan that offers the coverage you need to forget your worries and enjoy the open road! Before you set out, head to your GP and ensure you are good health. If you are on any medications, make sure your prescriptions are up to date and you have the repeats you need. If you’re traveling to a particularly remote location it’s important to take your medications with you, as there may not be pharmacies nearby or the ones that are may not carry a large selection of medications. Major cities are the best places to pick up prescriptions, so grab them in advance, if your prescription allows it. Always have a first aid kit on board, and brush up on your first aid skills before you go with a refresher course, and always keep your ambulance membership up to date for if the need arises. Check out our article about car essentials to make sure you’re ready for everything. Are you a snow bird, or are you escaping the cold for the warm sun? Australia is your oyster, and now is the time to chase your ideal weather. Sick of the cold? Head up north! Can’t stand the heat? Maybe Tassie would make a great place for you to visit? The fantastic thing about Australia is the variances in climate – we really do have a comfortable place for everyone! The Grey Nomads website has a list of fantastic places to head to in every state or territory if you need a little inspiration. Now that you’re all set, it’s time to hit the road! Enjoy this time in your life – you’ve earned it. And if you every find yourself caught with a flat battery or tire, out of fuel, or locked out you can always holler for a Marshall on 1300 627 742 day or night, every day of the year!